Following on from Perelman’s last issue of seven albums this year he has scattered a further six to sweeten our listening hours – he now has more than 80 albums accredited to his name. 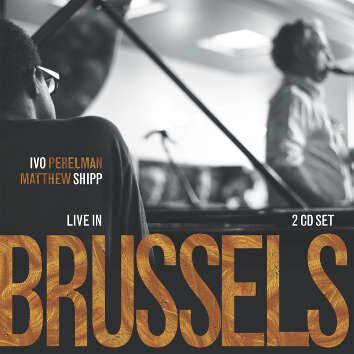 We can rejoice in finding continuity in the saxophonist’s partnership with pianist Matthew Shipp; here it resides in the exquisite, live, duo concert ‘Live in Brussels’, recorded at L'Archiduc in Brussels in May of 2017 (2xCDs - LR 804/805). Shipp also accompanies Perelman with William Parker and Bobby Kapp, another ‘new’ drummer on the quartet album ‘Heptagon’ (CD LR 807). The last of the six is another quartet this time with Gerald Cleaver on drums and Nate Wooley again; ‘Octagon’ (CD LR 810) has no piano: young bass player Brandon Lopez is Perelman’s new guest. Live in Brussels reveals that Perelman’s experiments and achievements with the ultra-high register of the tenor have added a sharpness to his method. When coupled with Shipp’s percussive outbreaks, a sound tornado is discerned; yet there is, too, a radical inclination towards elegance in his manners when approaching his address to the more conservative range of the instrument. The concurrent issue of Philosopher's Stone and Octagon introduces and develops the notion of the two horns dilemma which has never really happened before with Perelman. These two albums are the more incendiary of the six, but the 90 minutes live duo in Brussels is perhaps the more revealing and the more charmed. Live in Baltimore introduces new drummer Jeff Cosgrove to the fold of ‘regulars’. This is an unusual recording in that it consists of just one, 51-minute improvisation. There is an excitement, an anxiety almost, brought on by Shipp’s aggravated attack at the piano, countered by the tenor and soon softened by it, at least temporarily. These two in turn are decorated by the work of Cosgrove, using sticks or brushes to enunciate what he hears or predicts. It’s a tour de force. Another ‘new’ drummer, Joe Hertenstein, replaces Cosgrove on Scalene and the differences in the two drumming approaches are immediately discerned. This time it is the drumming that is aggressively hectic, leaving no spaces unoccupied. The third of the drummers, Bobby Kapp, appears on Heptagon and the stalwart bassist William Parker makes up the quartet. Heptagon is white-water rafting. There are brief, tranquil moments but even these waters are seldom unruffled. The tenor is inexorable in its high-register, anarchic challenges to the booming counterpoint of Shipp. Parker and Kapp count off the seconds while the latter splashes riotously in the raging torrents. Philosopher's Stone takes us back to the trio format, but no drummer in sight. Perelman and Shipp are joined by Nate Wooley, an extraordinary association as Ivo has never indulged in the tenor/trumpet framework employed by so many groups * But see above. Wooley is applauded for solo trumpet recitals and is an aficionado of the high register, yowling and growling and effecting other techniques that may split your sides. Octagon reintroduces the quartet format along with the established and unwavering drummer, Gerald Cleaver and the young Brandon Lopez on bass. Parker leaves but Nate Wooley’s trumpet is there again and Lopez irradiates the alchemy of the music.